I read up on last night's tweet stream this morning, and that's how I found out: Whitney Hoston died at age 48 in a hotelroom in Beverly Hills, California, US of A. One of the tweets I saw read "can we please give it just 30 minutes before we start ripping apart dead people", and another one read "... it's just how Whitney would have wanted it"
It always happens: once some one dies, we automatically make up the balance. Before closing the book, we reach a conclusion, need to give a small summary, voice our opinion. Seems like we're taught that we need to have learned a lesson when an action completes? On one side of the spectrum, Whitney's death is just (big) news and even anticipated by a few who thus have some material lying ready - just in case. Some people just have to write about it, it's their professional commitment. Why write this? To write about the silliness of perceived relationships. One of those is the phenomenon that people that are close to each other, know each other well. As we like to reverse cause and effect, there are many people that try to get to know everything about others, so they can "prove" they are close. 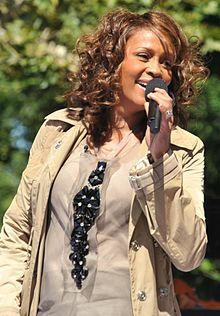 Predicting what Whitney would have done (very easy to get away with now she's dead) is one way to show your own greatness: it shows how close you were to Whitney, how much celeberity you are yourself. Does that have to do anything with Whitney? No. One could write about any aspect of her life, after all she's had over 30 years of a singing career. A phenomenal voice as well, and very impressive record-breaking sales. Still, the focus will be on the negative stuff, as "misery likes company"
There are compensations that only affect the body: bulimia or anorexia. Going nuts in the gym is not recognised as a disease yet, nor is running, but these are known to be labelled as "way of life" by many. Converting yourself to Jesus usually does less harm, as does conversion to Allah, Buddha or who knows who. It's all in the mind and you might put off a few people but usually it doesn't take casualties on either side. Meanwhile, down on earth, we meddle with what's within our reach: a bit of gossip here and there to distract our mind, fast food to compensate for our slow evolvement in life and career and the television to offer us both: mind-numbing coach potato time, best filled with watching sports - how gross can the contradiction be? Where will the social developers code? And what?